Carolyn Flaherty (Carrie), is a registered nurse from Brooklyn, New York. 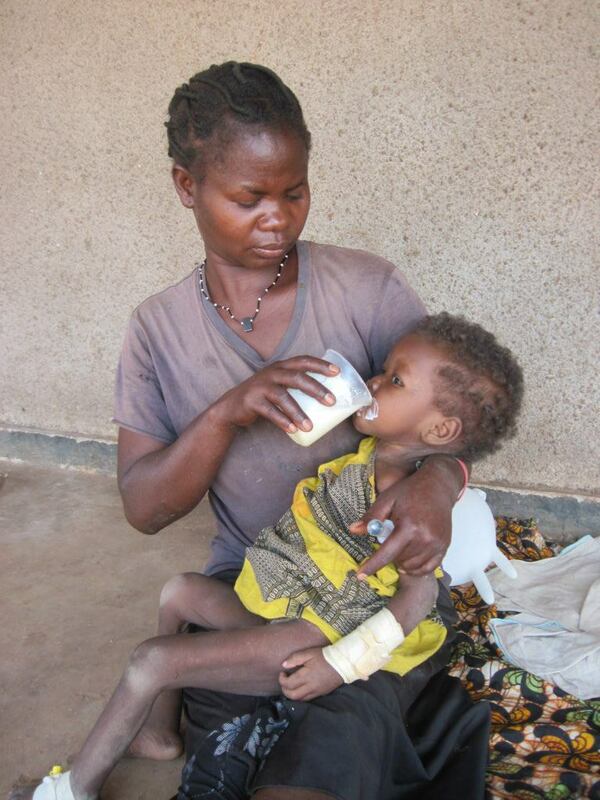 She is a CMMB volunteer who is serving at St. Therese Hospital in South Sudan. During her time at St. Therese Hospital, Carrie has experienced firsthand, the many vulnerabilities that affect the women and children she serves. In the powerful piece below, Carrie reflects on the challenges she has faced in light of this reality, and the ways her faith continues to help her overcome them every day. I write this message from St. Therese Hospital, in Nzara, South Sudan. I am here, volunteering with CMMB, an international organization that focuses on bringing aid to women and children because they are “among the most vulnerable populations in the world.” Since I arrived, I have learned firsthand just how true this statement is. In the five weeks I’ve been here, 11 children have passed away, all under 10 years of age. Some are victims of time—arriving too late for any intervention to be helpful, whether traveling from a great distance, or trying traditional healers first, or because their caregivers lack health education to identify early signs of serious illness. Some are victims of their environment—the limitations of a small hospital in rural South Sudan include limited laboratory tests, diagnostic studies, medications, and equipment. Eligible blood donors are scarce. Some are victims of circumstance—the lack of an established health system because of years of conflict, inconsistent protection from vaccine preventable diseases like tetanus and rabies. Jackline (23 months) receiving F100 formula from her aunt Elizabeth. 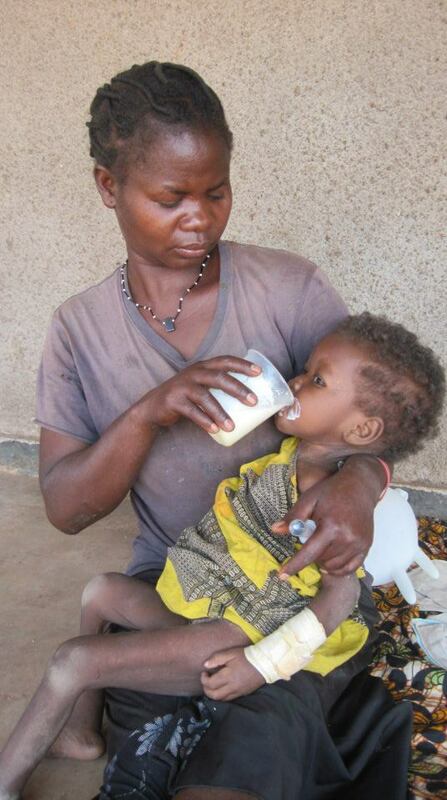 Her mother died from AIDS related complications and she is severely malnourished. It seems such a stark contrast, to celebrate Christmas and to think of the mothers who have gone home suddenly childless. I struggle for answers to the age-old question—why does a loving Father allow such things to happen, taking a child too soon from this world? But perhaps I am looking at it the wrong way—as through a glass, darkly tinted. Instead, to see each of them as a gift, to be cherished for whatever time we are given. To provide the best care we can, with the resources available, and entrust each ultimately to the God for whom and by whom we are all made. This was told to me by a very wise person, and it gives me some peace in the struggle. At Christmas, we remember how Christ entered our broken world, became one of us in order to reunite us with our Father. It strikes me as significant that He chose to come as a baby. An infant wrapped in swaddling clothes and lying in a manger. Vulnerable not only to the violence of mankind but the dangers of disease, hunger, drought, and displacement. Almighty God became a helpless neonate, totally dependent on a teenage girl for all his needs. Why? I don’t know. But, perhaps in order to redeem every aspect of the human experience. He is with us in our deepest need. The baby named Emmanuel—God is with us.